Polypropylene strapping is lightweight and flexible and used to easily tie cartons together or secure goods on pallets. 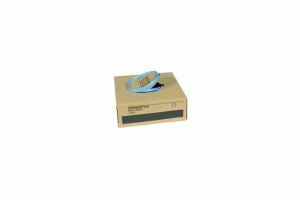 Our hand polypropylene strapping comes in a handy dispenser box. Using a wire or plastic buckle you can tension PP strap entirely by hand without the use of a tensioner or sealer.